Amenity-filled luxury rental buildings are opening around the city on a seemingly weekly basis and the glossy renderings are hard to resist - until you see the prices. At the low-end, starting prices can reach as high as $5,059/month for a studio, and yes, we're looking at you, One Hudson Yards. But if you don't have an annual budget of $60,000+ for rent, the city's extensive stock of prewar rental buildings are a great option, and getting your hands on a renovated unit at a price that works for your budget is a coveted find, even if building amenities include a slow-moving elevator and dimly lit laundry room. 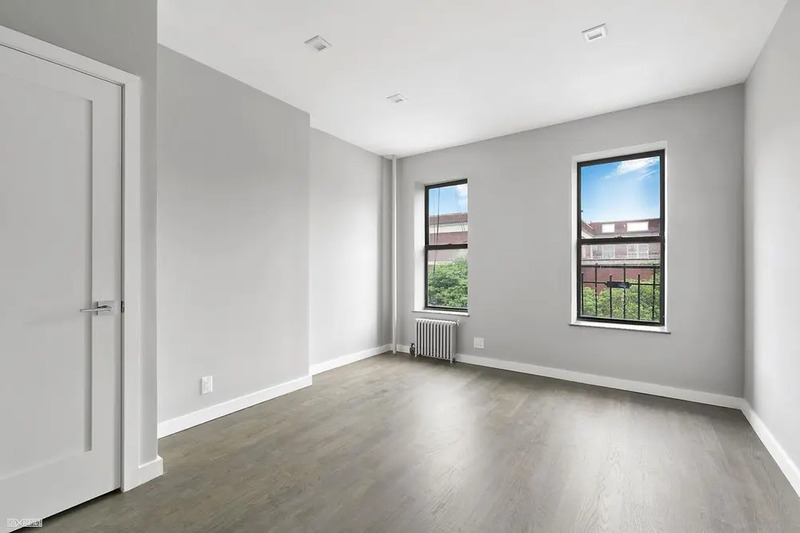 At 228 East 116th Street in Harlem, a 6-story walk-up built in 1910, a collection of beautifully renovated units are now listed from $1,850/month. Not bad for a neighborhood where the median price for current listings hovers around $2,550/month. 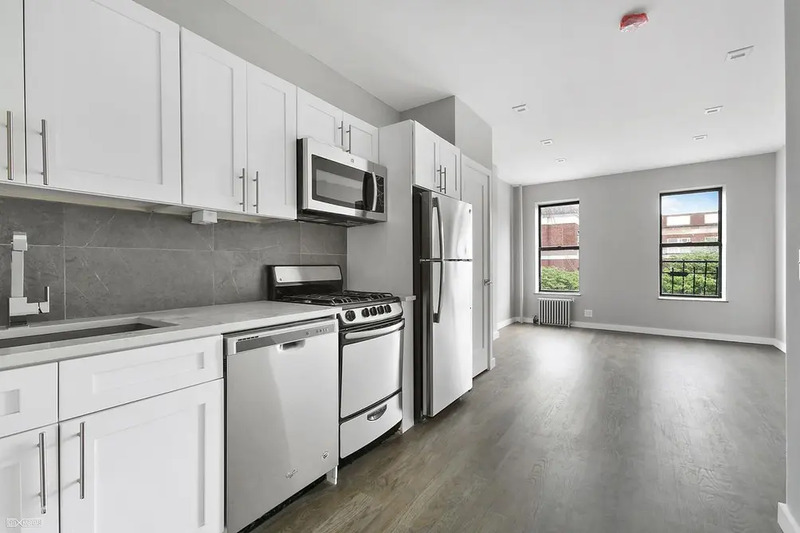 The listings are no-fee and include 1 month of free rent; a single studio is listed for $1,850/month, a 1-bedroom is $2,200/month, and a pair of 3-bedrooms are $2,932/month and $3,250/month. While building amenities can't compete with those of a new building, the apartment interiors can. High ceilings and large windows are typically standard in prewar units, and here, modern renovations complement built-in features of the nicely proportioned building. 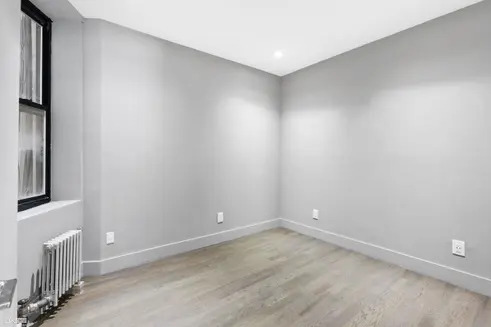 New features include wide-plank hardwood floors and recessed lighting, along with the ultimate New York City luxury, an in-unit washer/dryer. Open kitchens have white cabinetry, granite countertops and stainless steel appliances, including a dishwasher and microwave. Modern bathrooms feature marble tiling and glass showers, along with handsome vanities & medicine cabinets with plenty of storage. Located on East 116th Street between Second and Third Avenue, the building's exterior façade appears to have most original detail, including an intact cornice and window pediments in varying designs. The 6 train at Lexington Avenue is only one block away, and the East Harlem neighborhood is convenient for shopping, cuisine and culture. 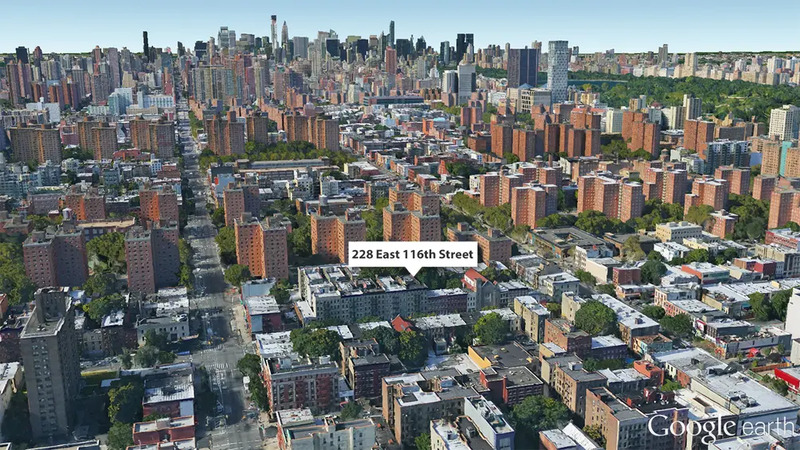 Read about the neighborhood here or visit CityRealty’s 228 East 116th Street profile for listings and more NYC real estate information. 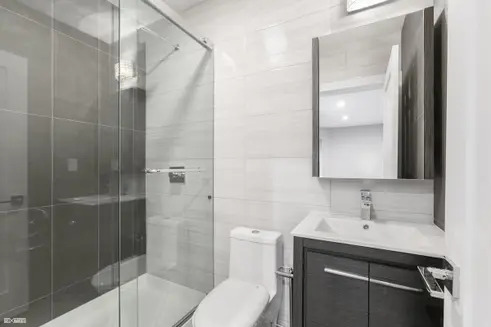 For full leasing details on the available units, contact the 228 E. 116th Street leasing agent at Citi Habitats here.